Under Plomberie J.Jodoin – Roger Barré’s presidency, club Richelieu de Verdun’s golf tournament has made it possible to reunite over 120 participants and to generate record profits of 20 000$. In fact, this annual event is part of the financing activity which allows the club to collect the necessary amount of money for the financing of the charitable activities along with supporting L’Harmonie and the children St-Côme camp stay. 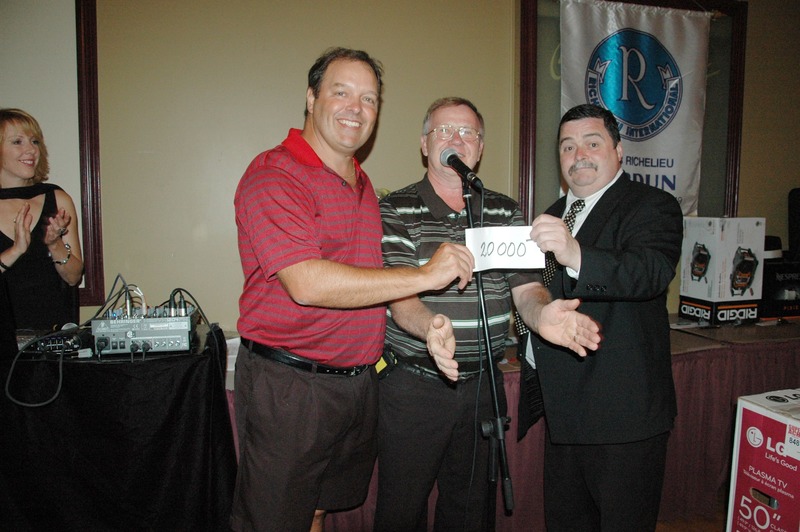 During that event, Club Richelieu’s president Richard Langlais has handed Roger Barré the ¨Docteur Lachaine¨ first prize. Prize given to the ¨Richelieu de la Décennie¨ for his incredible implication within verdun’s community and more specifically within the Club. And, to crown the evening, Roger Barré was given the prestigious prize ¨Horace Viau¨ handed by Club Richelieu’s international president.